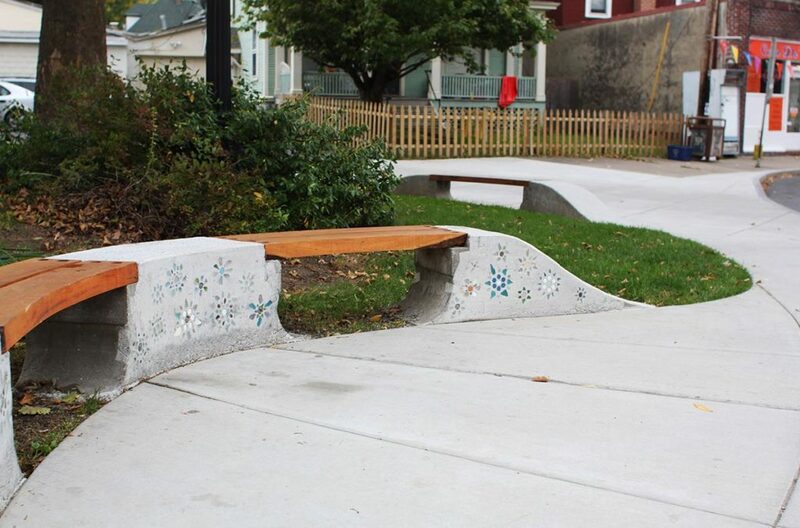 Huckster Hill – A small park space that provides the heart of the neighborhood a safe and comfortable outdoor space that many people can use at one time. Echo hosted public meetings with community members to collectively imagine what improvements would make the space more welcoming. 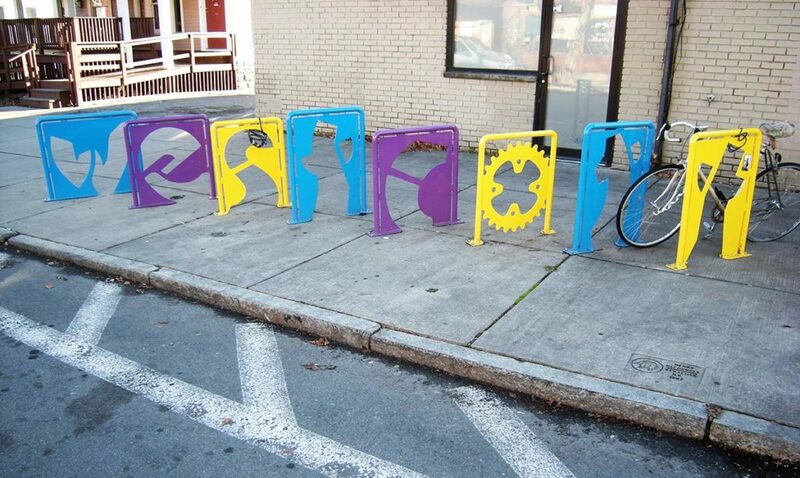 In 2012, the design concepts were integrated into Save-the-Rain green-street plans, allowing the parklet to provide twice as much green-space as had existed. 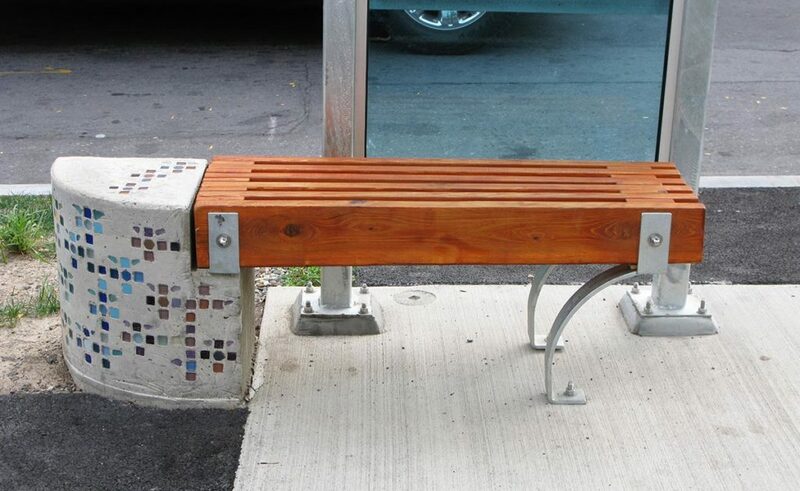 Local artist, Mark Povinelli, contributed art mosaics on the prominent bench that faces the corner of South Beech and Westcott Streets. 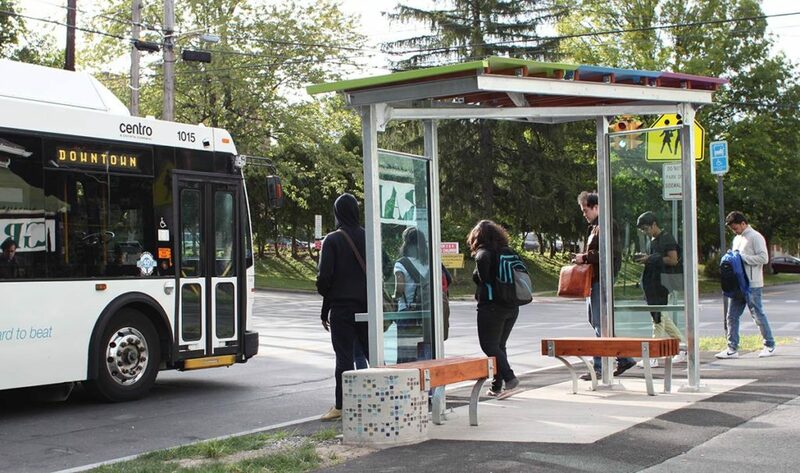 Bus Stop / Street Corner Safety – A custom bus stop shelter and amenities landscape were designed and fabricated to mediate a dangerous sidewalk condition where cars had been driving across the sidewalk at a busy intersection. Echo worked with SU School of Design students to hold public discussions and develop concepts for the project. 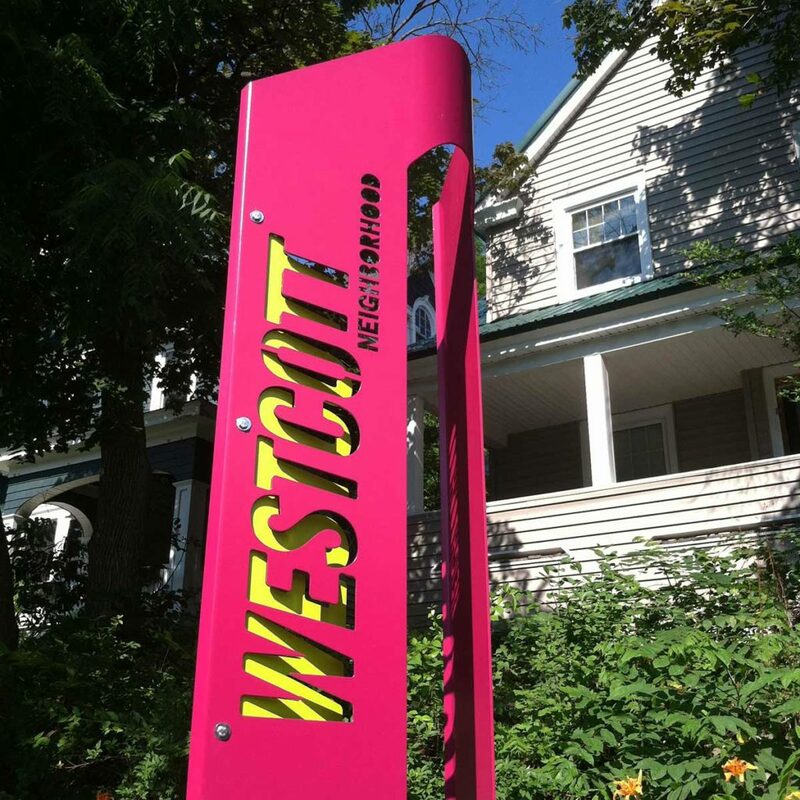 Neighborhood Signage & Bike Racks – These projects continue the streetscape enhancements and provide additional support to the neighborhood’s identity.